In today’s world, convenience is king. We live in a time where there is a need for speed. We are lucky enough to live in the world of technology where it enables us to get the information we need almost instantly, and while on the go. There are thousands of apps launching every month. Some apps certainly can improve our lives significantly and help us perform regular activities more efficiently. 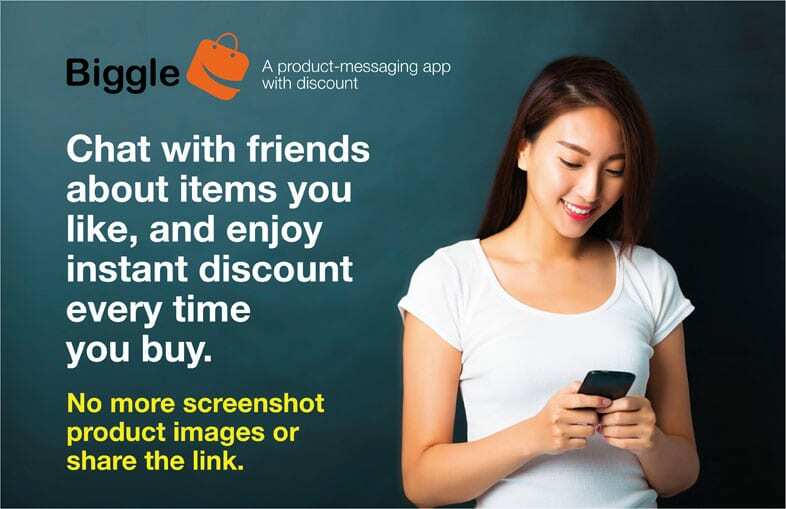 Biggle is a Product-Messaging App that makes online shopping more convenient, by offering you plenty of values and discounts while you shop. Founded in early March 2017, Biggle is a discount-based, product-messaging app managed by a team of four individuals from different professional backgrounds including advertising & marketing, design, software engineering and project management. The app offers three key features: hassle-free product images/link sharing, instant discount codes, and chat box that allows you to compare products and to get feedback from your friends or family members about the products. The app and web, which also allows you to browse products from different online stores such as Lazada and Qoo10, is set for a beta launch on December 1st, 2017. That “significant other” in question is one of the founder’s wife. In fact, the idea of Biggle was initiated when he realised all the hassles that his wife had to go through whenever she shops online. Ng, the co-founder of Biggle, often found his wife searching high and low all over different e-commerce sites for products. She would end up capturing screenshots of the products and then send them to her group of friends on Whatsapp or Wechat asking for opinions and feedback. Sometimes, she even had to purchase the products together with her friends just to save some shipping cost! This was when the idea of Biggle was conceived. 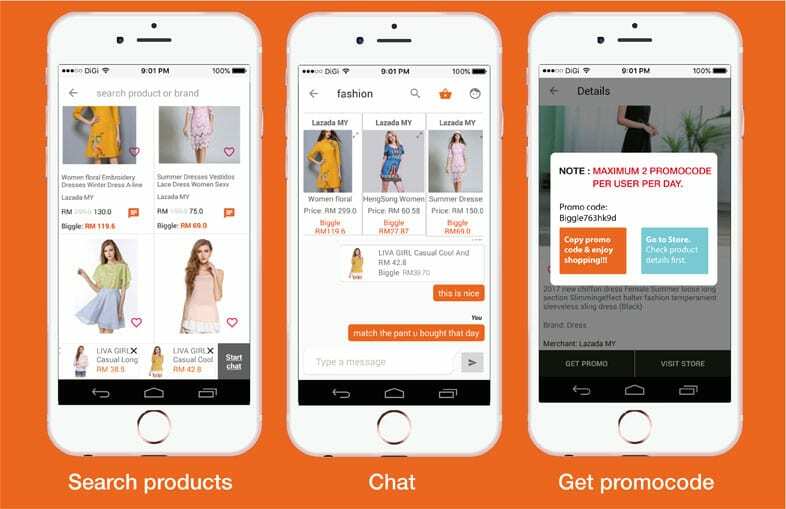 An app that offers product search and discount codes are a dime a dozen. But not for Biggle, which comes with an interesting twist. With Biggle, you will no longer have to screenshot your favorite product images, switch to another chatting app, and send the screenshot to your friends for feedback. Thanks to Biggle, the screenshot practice becomes a thing of the past as it allows you to conveniently chat or discuss with your friends about the product that you want to buy on the same dedicated app! 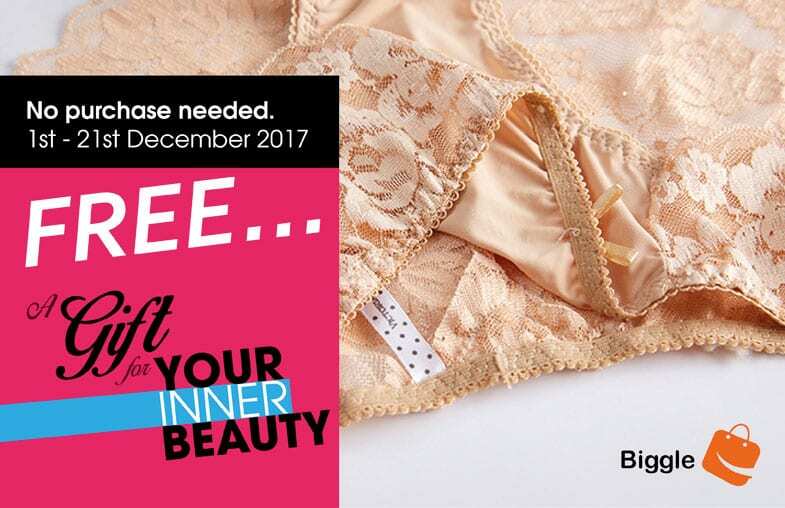 Best of all, the app also provides you an instant discount each time you make a purchase through Biggle, which is unlike any other cashback sites where you have to wait for months just to cash out your rebate. 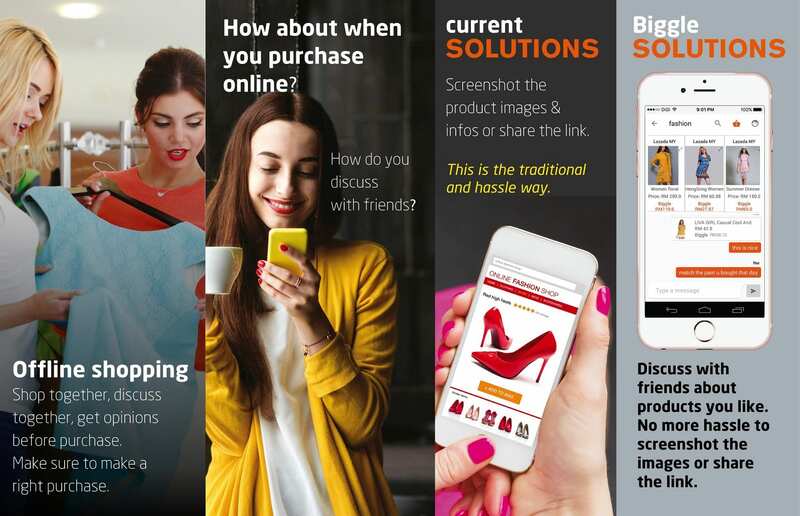 With Biggle, they hope to make online shopping more convenient by allowing users to discuss with their friends before making any online purchase. Not to mention, the instant discount that Biggle offers when you make a purchase through the app or web, doesn’t it just make online shopping more fun and exciting? 2. Get the promo code and you will be re-directed to Biggle’s merchant partner’s site. 3. Paste the promo code at the checkout page and the free gift will be yours. You don’t have to purchase anything from the website. Isn’t this a good deal?